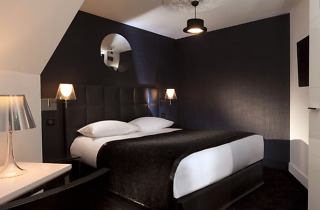 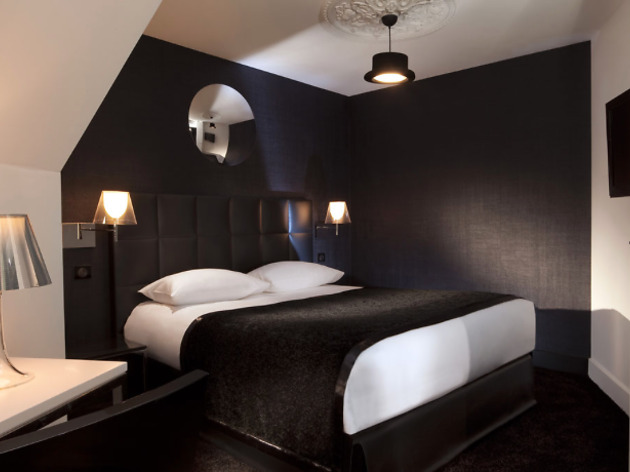 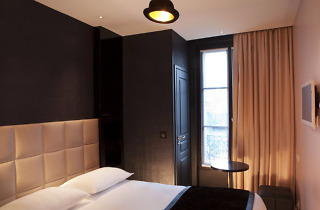 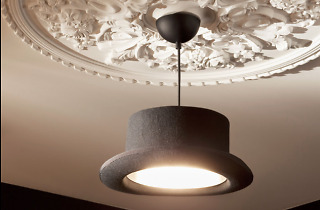 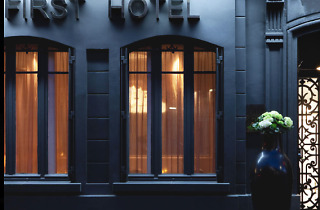 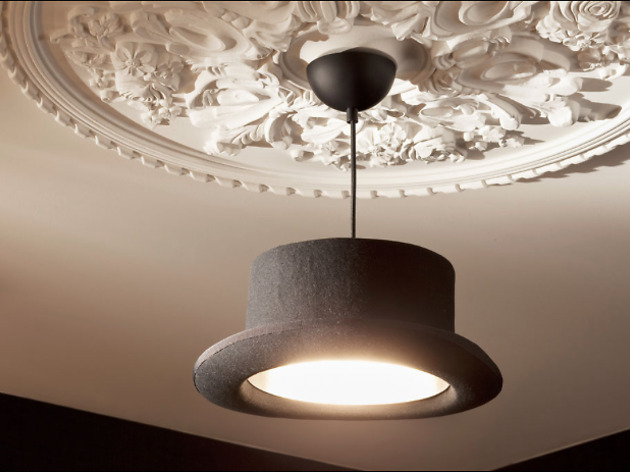 Ideally placed in the 15th arrondissement, opposite Cambronne metro station, First Hotel will seduce you with its chic monochrome style, comfort and proximity to the Eiffel Tower and Champ de Mars (only fifteen minutes on foot). 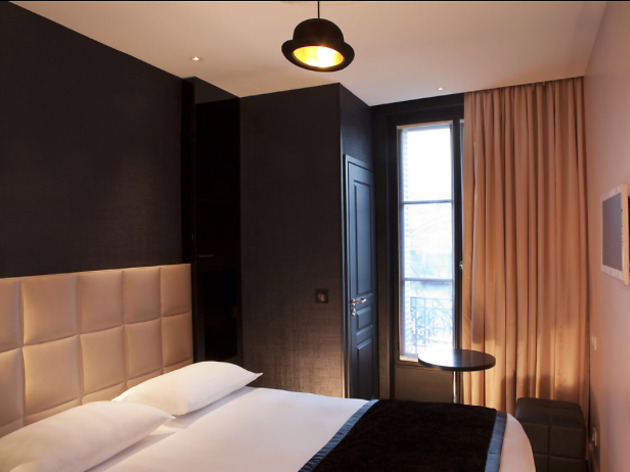 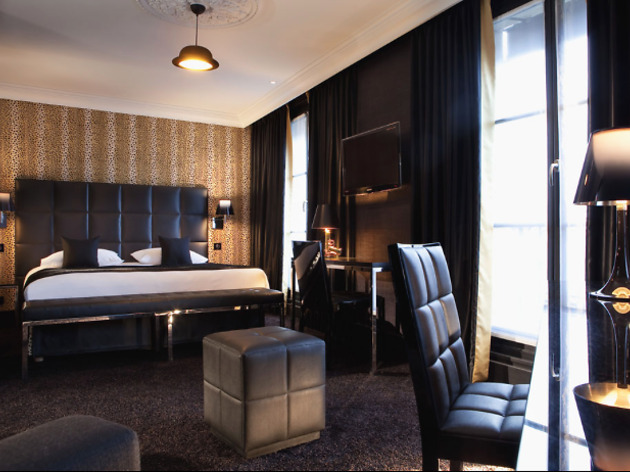 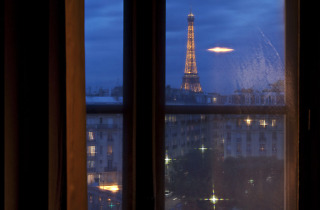 Its modern design rooms (complete with cosy bedding) offer stunning views of the famous Parisian roofs, and for some – the Iron Lady. 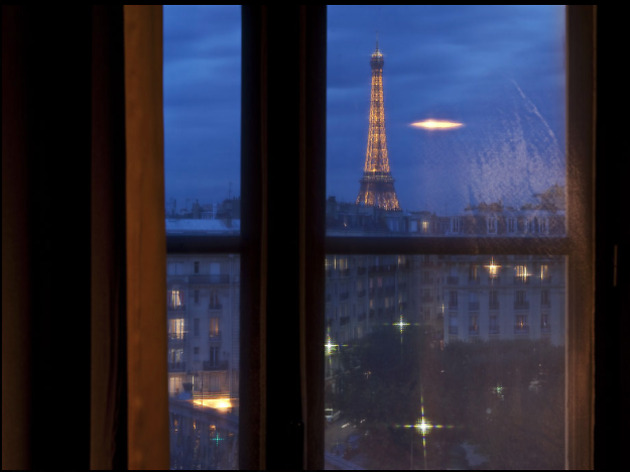 Needless to say, such vistas will bring infinite joy both day and night. 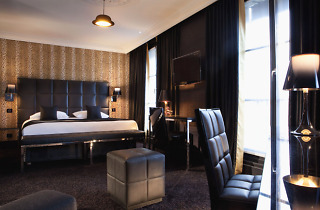 This would be the perfect place to hole up for Valentine’s Day, thanks especially to the option of the Lovebox which includes: a love game, a feather tickler, a blue satin blindfold, bracelets, “I kissed you there” tattoos and other trinkets. 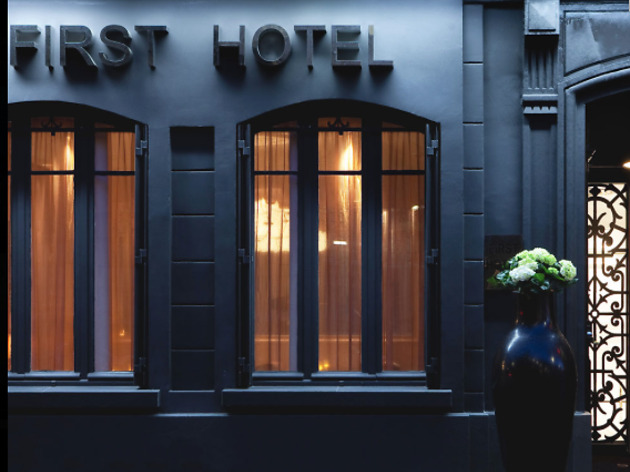 With all that in mind, it wouldn’t come as a surprise if you came back for a second stay at the first-class First Hotel.